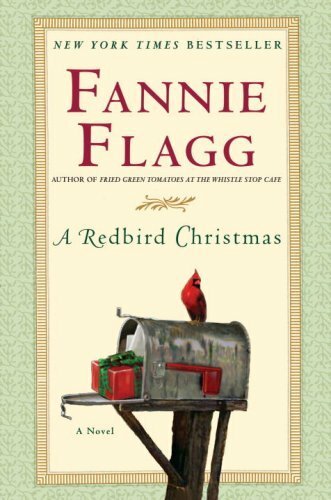 With the same incomparable style and warm, inviting voice that have made her beloved by millions of readers far and wide, New York Times bestselling author Fannie Flagg has written an enchanting Christmas story of faith and hope for all ages that is sure to become a classic. Deep in the southernmost part of Alabama, along the banks of a lazy winding river, lies the sleepy little community known as Lost River, a place that time itself seems to have forgotten. After a startling diagnosis from his doctor, Oswald T. Campbell leaves behind the cold and damp of the oncoming Chicago winter to spend what he believes will be his last Christmas in the warm and welcoming town of Lost River. There he meets the postman who delivers mail by boat, the store owner who nurses a broken heart, the ladies of the Mystic Order of the Royal Polka Dots Secret Society, who do clandestine good works. And he meets a little redbird named Jack, who is at the center of this tale of a magical Christmas when something so amazing happened that those who witnessed it have never forgotten it. Once you experience the wonder, you too will never forget A Redbird Christmas. This is the first book that I have read by Fannie Flagg and it won’t be my last. It was a fun easy Christmas read.